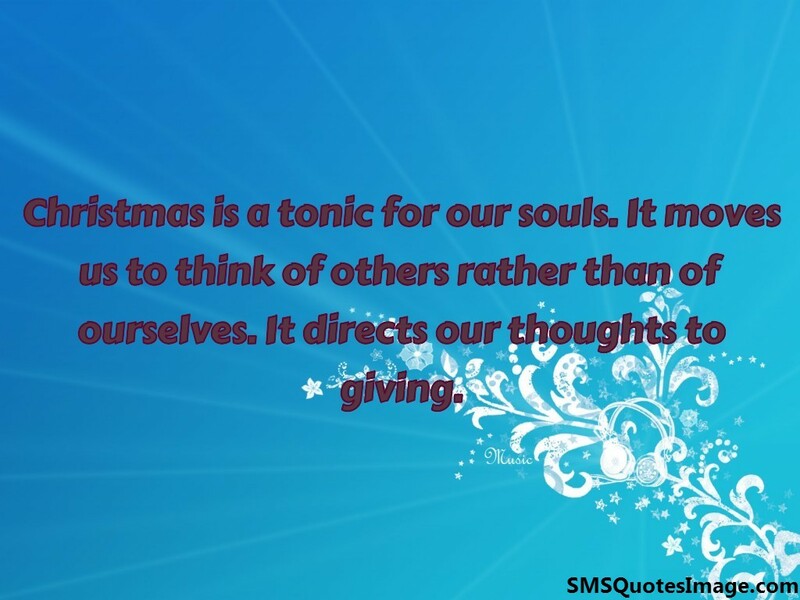 Christmas is a tonic for our souls. It moves us to think of others rather than of ourselves. 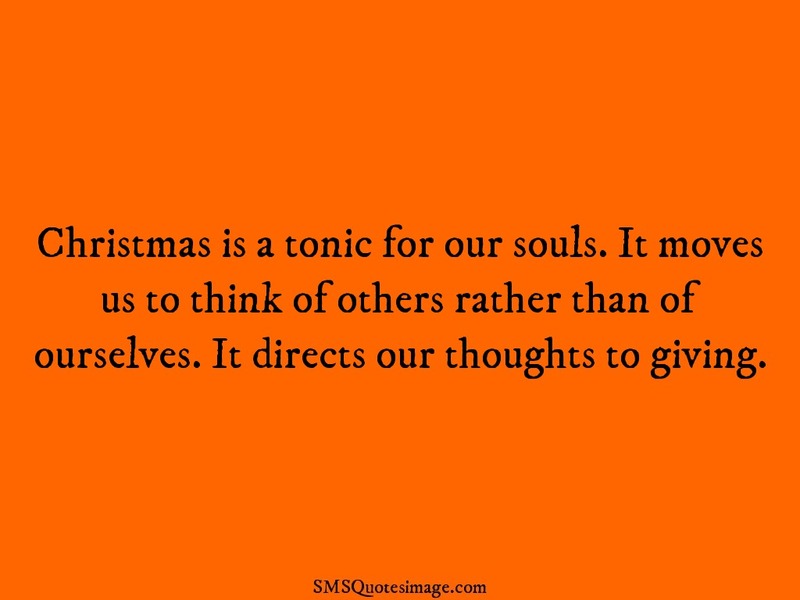 It directs our thoughts to giving.